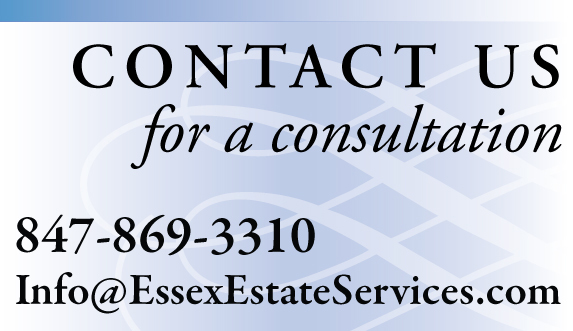 Client Cases | Essex Estate Services, Ltd. 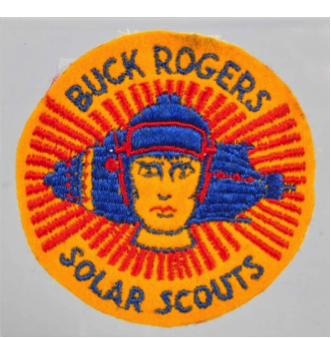 In the back of a desk drawer we found a 1930s “Buck Rogers” sweater patch. We sold this rare item for $1,200 despite its frayed edges and less than perfect condition. 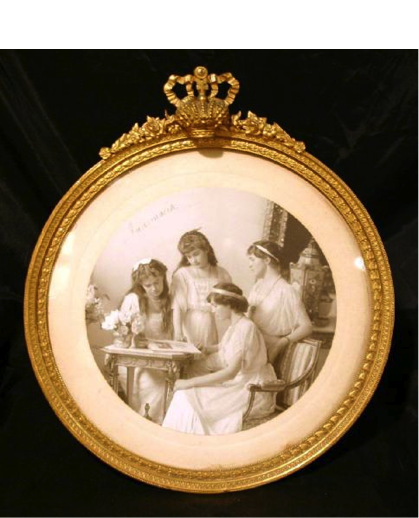 A client had a framed photograph of the four Romanov daughters that was autographed by each daughter, and barely legible. He thought the photo might have a value of $1,000 to $2,000. How did we know it was “real”? It was a coincidence—the girls were wearing the same clothes, jewelry and hair styles as other photos in an exhibition book documenting a Nicholas and Alexandra exhibition we had attended. We vetted the item to a number of Russian memorabilia dealers and sold the photograph for $12,000. We were asked to bid on cleaning out a hoarder’s apartment building. He occupied 14 units in a 34-unit apartment building. We cleared more than 65 tons of debris and trash. We went through every shirt and pair of pants to look for “rent” money that he had collected from tenants and never deposited. We found substantial cash and coins in some very unlikely places. 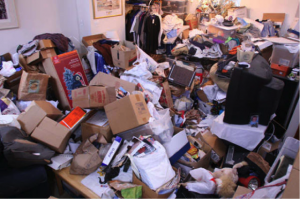 Hoarding takes many forms. On one hoarder assignment there were multiple surprises—hundreds of sterling silver miniature figurines, football programs dating to the 1940s, a 1930s childhood collection of pencil sharpeners, a wall full of first edition books and stacks of company annual reports. The son of the owner of a closed jewelry store contacted me for the liquidation of the store’s inventory, which had been kept in a bank vault for many years. At our first vault meeting he was visibly overwhelmed and distraught. Understandably, he had not been involved in the store’s operation and knew nothing about gems and jewelry. We met in several sessions over the next 2 months to organize and sort the inventory into three groups: scrap metal to be liquidated, pieces to be disassembled for the sale of the diamonds and loose diamonds to be kept in the family. In each case I handed him a check from the sale of the goods and in each successive meeting, his anxiety level dissipated. Finally at the last meeting, his daughter joined us at the safe, and we selected diamonds which were made into a suite of new family heirlooms. 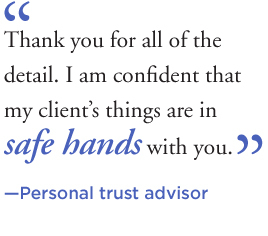 Visibly relieved, he left with a check and a smile on his face. 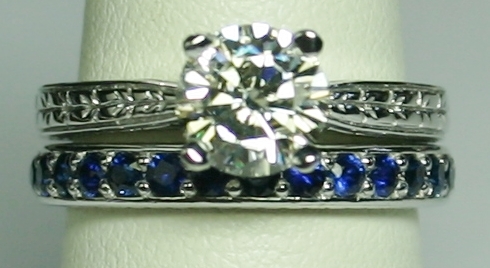 My client came to me with a diamond engagement ring she had inherited from her grandmother. The diamond was severely chipped and abraded on the top surfaces, but underneath it looked like a beautiful diamond—literally a diamond in the rough. We recut the diamond from a 1.25 ct older cut round diamond to a 1.08 ct. modern brilliant cut. Its clarity grade increased five grades, its color grade increased two grades, and with a GIA Very Good cut grade, this resulted in a nearly 4.5-fold increase in the retail value of the diamond. 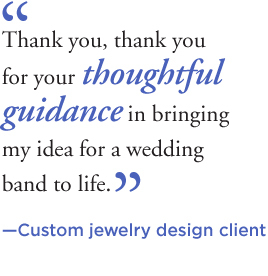 My client had the best of both worlds. She was able to enjoy the memories from her grandmother’s vintage ring, along with a substantial increase in its value. 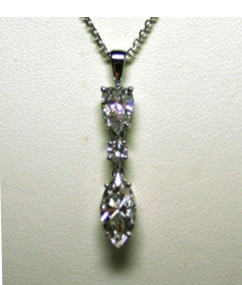 My client had three diamonds, a pear shape, a marquise shape and a round diamond from her mother that were sitting in the back of her dresser drawer for ten years since her mother had passed away. We created a line pendant from the diamonds and strung it from a diamond cut cable chain, which complimented the pendant by adding a bit of sparkle around the neck. I recently checked her LinkedIn page to see her new head shot, and there was the pendant around her neck, a new life for diamonds honoring the memory of her mother.